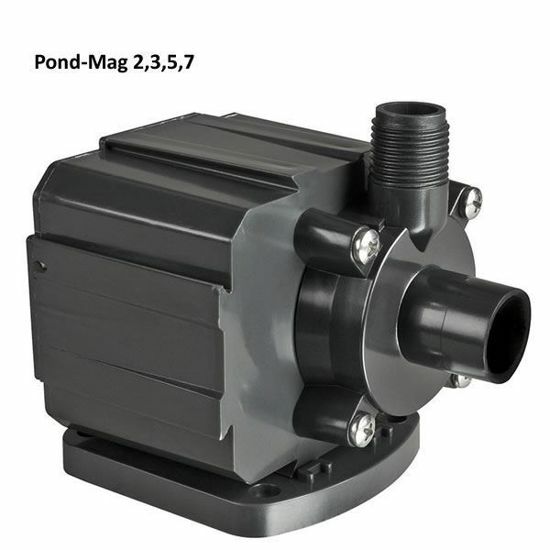 Pondmaster Pond-Mag Pumps are made to run continuously, because they don't have seals that can wear out. These pond pumps are extremely energy-efficient, and the resulting savings pass directly on to you. This type of pump is suitable for large fountains, piped statuary and ponds. Now Pond-Mag 2 through 36 pumps carry a 5 year warranty! 5.5" x 3.4" x 5"
7.5" x 4.0" x 4.6"